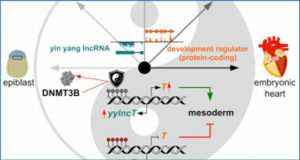 Increasing evidence shows that long noncoding RNAs (lncRNAs) have important roles in the regulation of multiple cellular processes, including cell division, cell growth, and apoptosis, as well as cancer metastasis and neurological disease progression; however, the mechanism of how lncRNAs regulate these processes is not well established. 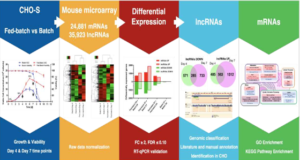 In this study, researchers from the Chinese Academy of Sciences demonstrated that downregulating the expression of the lncRNA nuclear paraspeckle assembly transcript 1 (NEAT1) in breast cancer cells inhibited cell growth and induced cell apoptosis. 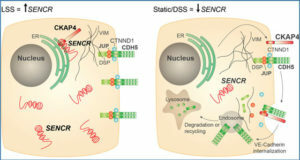 In addition, the RNA-binding protein fused in sarcoma/translocated in liposarcoma (FUS/TLS) physically interacted with NEAT1, and reducing the expression of FUS/TLS also induced cell apoptosis. 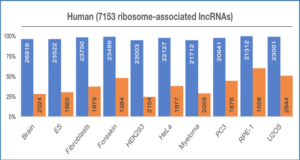 Multiple miRNAs were identified as regulators of NEAT1, but only overexpression of miR-548ar was able to decrease NEAT1 expression and promote apoptosis. 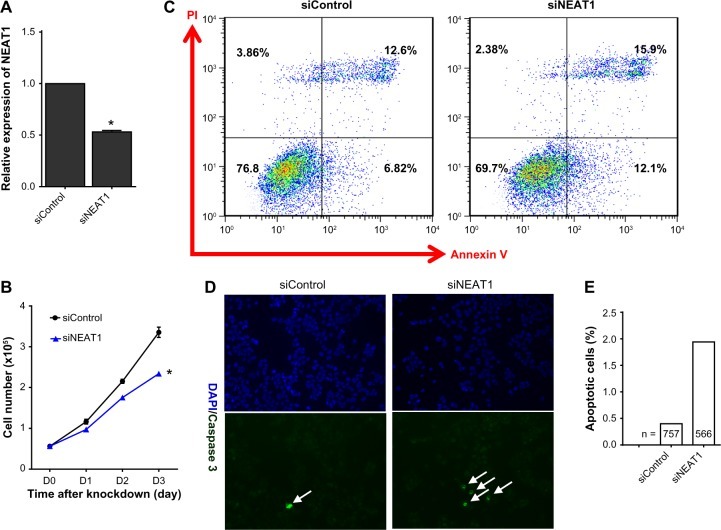 These results indicate a novel interaction between NEAT1, miR-548ar-3p, and FUS and their role in the regulation of breast cancer cell apoptosis. (A) MCF-7 cells were transfected with NEAT1-specific siRNA (50 nM) and nonspecific control siRNA (50 nM). Knockdown efficiency was determined by qRT-PCR. (B) The time-dependent effect of siRNA on cell growth is shown by the sulforhodamine B assay. Findings are the results of three independent experiments and presented as mean ± SEM. (C) Cell apoptosis was evaluated with Annexin-V and PI double staining at 48 hours by flow cytometry. Values in the lower right quadrant represent the percentage of early apoptotic cells. 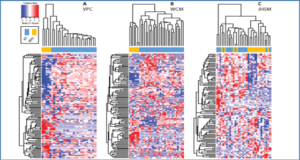 Values in the upper right quadrant represent the percentage of late apoptotic cells. (D) Immunofluorescence was measured using cleaved caspase-3 (green, apoptotic cells). Nuclei were stained with DAPI (blue). 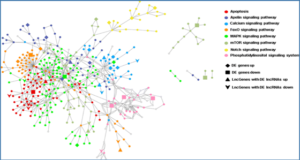 Arrows mark caspase-3-positive cells. (E) The frequency of caspase-3-positive cells is shown. The percent of caspase-3-positive cells was used for chi-square test statistics. Asterisk indicates P< 0.05.